Celebrate chocolate with our new froth Control. We can’t get enough of this rich, creamy, frothy recipe. Insert the frothing disk, add milk to frothing pitcher and choose the CHOC setting. Start the cycle by pressing the center of the selector dial. After a few minutes the illuminated light around the selector dial will start to blink indicating that it is time to add the chocolate and peanut butter chips. Remove the lid and add the chips gradually along the edge of the pitcher, away from the rotating disk. Make sure to add all of the chocolate and peanut butter chips before the illuminated light stops blinking. Replace lid and wait for the froth Control to automatically shut off. Pour into mugs and enjoy! To find out more about Capresso products, visit http://www.Capresso.com. Tis’ the season for eggnog! Melt away the chill of winter and celebrate National Eggnog Month with a frothy twist on the holiday classic. Creamy, hot and delicious, this Eggnog Steamer recipe is certain to put you in good spirits. Place the frothing disk in your Capresso froth PLUS and make sure it is securely snapped inside the bottom of the frothing pitcher. Add skim milk and eggnog into the frothing pitcher. Place lid and press the “Hot” button. Once the cycle is complete, pour into a serving glass. Top with whipped cream, ground nutmeg, and enjoy! Tip: A little nutmeg goes a long way, but just a pinch will add great flavor! Use freshly ground nutmeg when possible. 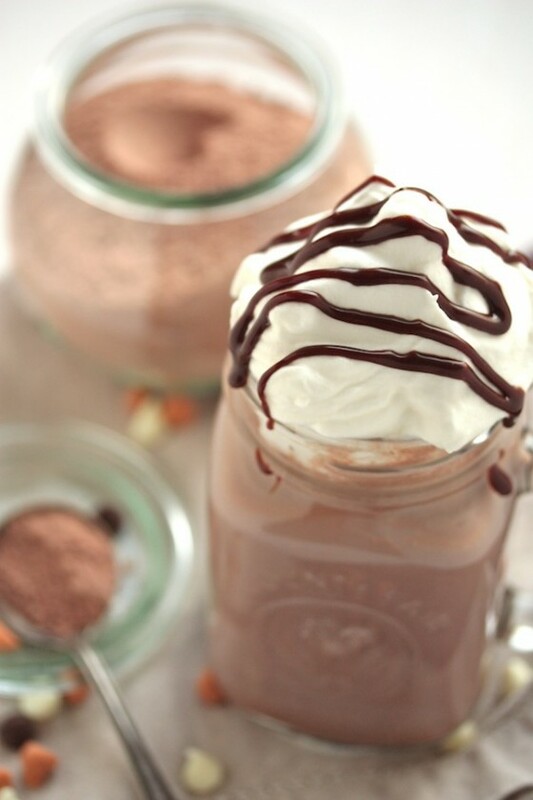 Warm, creamy and full of chocolaty goodness, what’s not to love about hot chocolate? 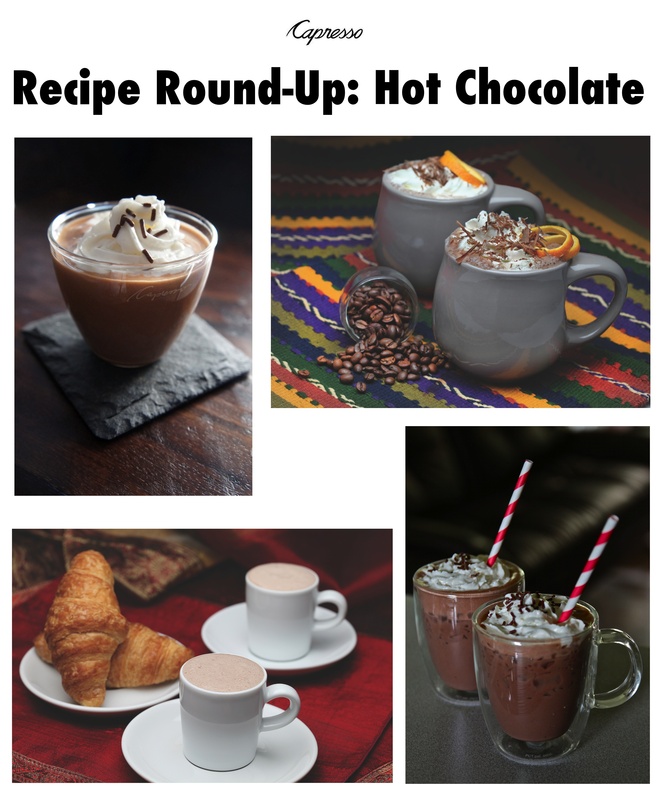 We’re sharing our most popular hot chocolate recipes, plus one that’s more suited for our readers in warmer climates. We’re holding onto winter with a deliciously sweet hot chocolate recipe from Megan at CountryCleaver.com. Megan’s blog features mouthwatering country cooking and baking recipes, beautiful food photography and styling, fun stories and adorable photos of her dog, Huck. We partnered with Megan on a review of the Capresso froth TEC and she created a wonderful Butterscotch Hot Chocolate recipe. Place the frothing disk into the froth enhancer of your Capresso froth TEC and ensure it is securely snapped inside the bottom of the pitcher. Add milk to frothing pitcher. Place lid and press the Warm button. After about 2 minutes, slowly add hot chocolate mix. Wait for frother to automatically shut off. Pour into a glass, and top with whipped cream and chocolate syrup. Share a warm drink with your sweetheart this Valentine’s Day. 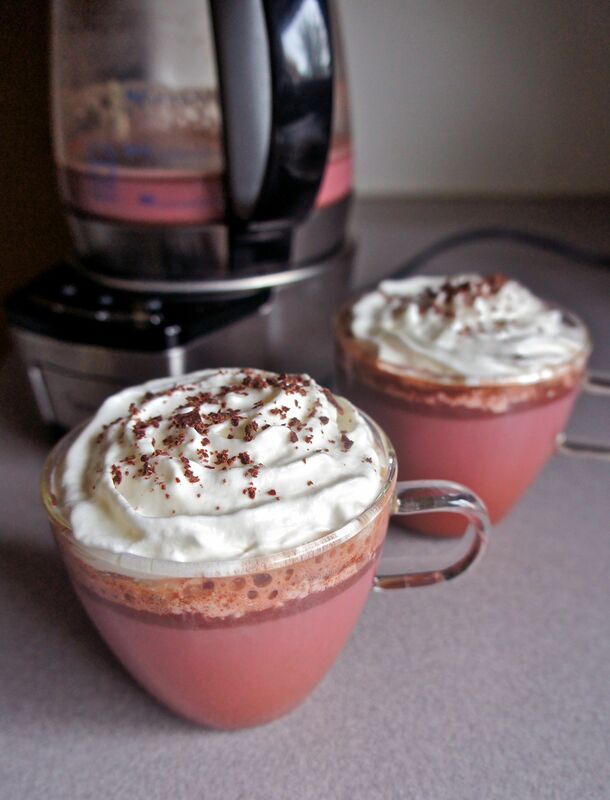 Our Red Velvet Hot Chocolate is sweet, delicious and filled with love. Place frothing disk into the froth enhancer of your Capresso froth TEC and ensure it is securely snapped inside the bottom of the pitcher. Add milk to frothing pitcher. Place lid and press the Warm button. After about 2 minutes, slowly add hot chocolate mix, dark chocolate, sugar and 6-8 drops of red food coloring (or enough to turn mixture red). Wait for frother to automatically shut off. Pour into glasses, and top with whipped cream. To find out more about Capresso products, visit Capresso.com. Crème de menthe and peppermint schnapps add a minty kick to this hot chocolate recipe. Place frothing disk into the froth enhancer of your Capresso froth TEC and ensure it is securely snapped inside the bottom of the pitcher. Add milk to frothing pitcher. Place lid and press the Warm button. After about 2 minutes, slowly add hot chocolate mix, crème de menthe and peppermint schnapps. Wait for frother to automatically shut off. 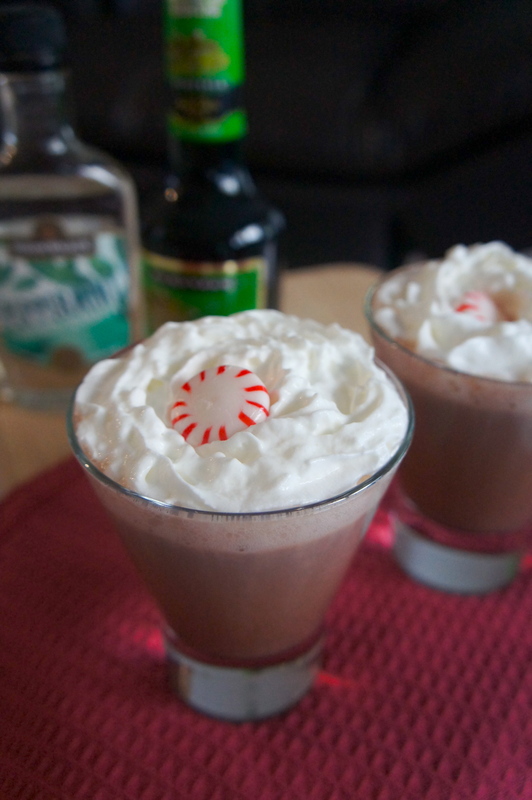 Pour into glasses, and top with whipped cream and peppermint candy.